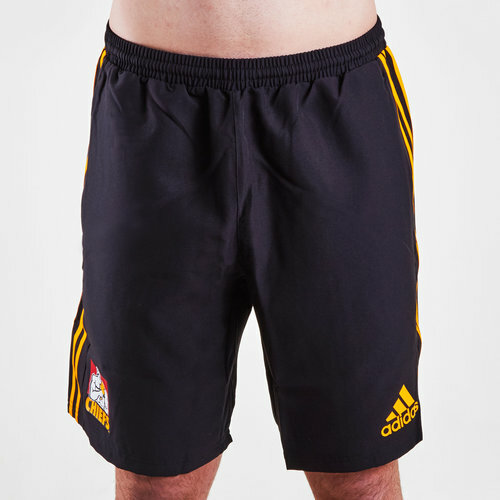 Show your passion and support for the Chiefs when you pull on these adidas Waikato Chiefs 2019 Super Rugby Woven Training Shorts in Black and Collegiate Gold. These shorts feature sweat-wicking fabric keeps you dry when you're working your hardest in a game. They are black with the adidas classic 3 stripe motif on the sides of the shorts in collegiate gold. The club badge is on the right whilst the adidas logo is on the left.